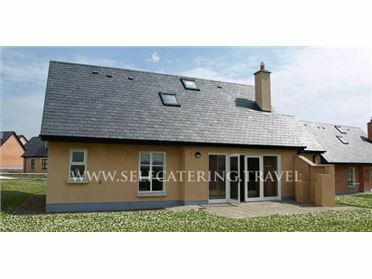 Whispering Willows - The Bungalow is a lovely semi-detached cottage situated in the town of Carndonagh, just twelve miles from Malin Head in County Donegal. The cottage can sleep six people and has one twin room through which the king-size double and another double are situated. Also in the cottage is a bathroom, a kitchen, dining room and sitting room with open fire. Outside is ample off road parking and an enclosed patio with furniture and BBQ. Whispering Willows - The Bungalow is a delightful cottage from which to explore this glorious part of Ireland.